Why build relationships? Root’s answer will surprise you. 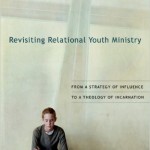 With the publication of his first book, Revisiting Relational Youth Ministry: From a Strategy of Influence to a Theology of Incarnation, Andrew Root has stormed onto the youth ministry scene as a force to be reckoned with. Root is Assistant Professor of Youth and Family Ministry at Luther Seminary, which is also home to youth ministry stalwart Rollie Martinson. Root has a background in youth ministry through church work, Young Life, and as a gang prevention counselor. Though he is young, he is theologically astute, graduating from Princeton Theological Seminary with a Ph.D. in Practical Theology. I have realized that a youth ministry of influence has very little to do with the incarnation…. God became human to be with and for us, not simply to influence us toward this or that end. (This would actually be there heresy of docetism, which believed that Jesus only appeared to be human in order to influence us. )… The incarnation is not about influence but accompaniment. Root does not simply leave his method to intellectual theological arguments, but gives us a final chapter on what this might look like in real youth ministries. His suggestions and theological insights, if taken to heart, really do have the potential to change youth ministry as we know it. While reading the book, I came to the realization that, to my knowledge, there is no youth ministry book that is as theologically deep and rich as Root’s. Kenda Creasy Dean and Ron Foster’s book The Godbearing Life is the only work close to Root’s in nature, but even it does not probe the depths of a particular theological subject like Root’s. 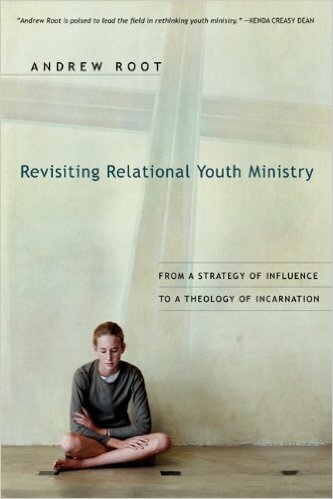 In my estimation, Root’s book will be noted as being the first in a line of theological books written specifically for the context of youth ministry. With the publication of this book, a new (and needed) genre has been birthed. This is truly a must-read book. Root’s gift to the youth ministry community is not only in the content he provides, but also in modeling for us what it looks like to think theologically about youth ministry. Taking both to heart will change for the better the way you do and think about youth ministry. In fact, this book is helpful in forging a Neo-Youth Ministry. Matt Cleaver has written since 2004 on youth ministry, theology, and the church. His blog was ranked by Youth Specialties as a Top 20 Youth Ministry Blog. Click here for Matt's list of the Best Youth Ministry Books. Matt, I’m reading this book right now and it’s totally blowing my mind. I read a shorter article by root a long time ago that was essentially a major distillation of this book, and loved it. I have to agree with everything you’ve said… I think this book is pretty much ground-breaking in the field of YM. Kenda Creasy Dean’s book “Practicing Passion: Youth and the Quest for a Passionate Church” is pretty theological as well… you should check it out. It is a practical theology as well. I caught onto Root via his articles, too. I think the first thing I read was in the Journal of Student Ministries. I try to read anything he writes. Yeah, I’ve read Practicing Passion. It’s been a while since I’ve read either, but in my mind Godbearing Life stuck out as more “theological.” Both are great books. I am not currently involved with youth ministry, but if I were, I think I would want to read this book. It sounds provcative and challenging. These are the books that will completely change the way you think about youth ministry, for the better. Links are to my reviews of each book. 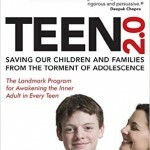 A psychologist makes you question every assumption you have about adolescence.